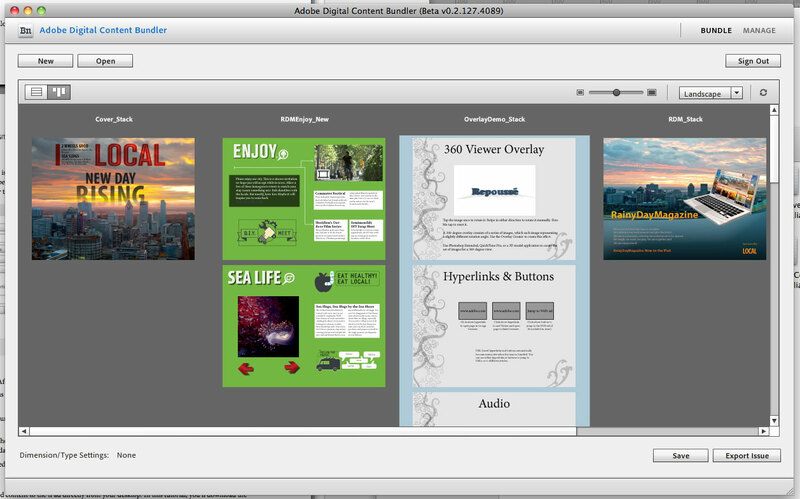 This is the last installment of our brief tour of the Adobe Digital Publishing Solution. Yesterday, we worked through Adobe’s tutorial on putting together a single page using their DPS tools. Now that we are confident that all of the pieces of the process are functioning properly, we are ready to tackle a second and more challenging tutorial. Today, we will show the workflow involved in assembling an issue with more interactive(slideshows, video, etc…) elements. Also, instead of just transferring the issue directly to the iPad, we’ll upload it to Adobe’s magazine server and download it wirelessly using the iPad. 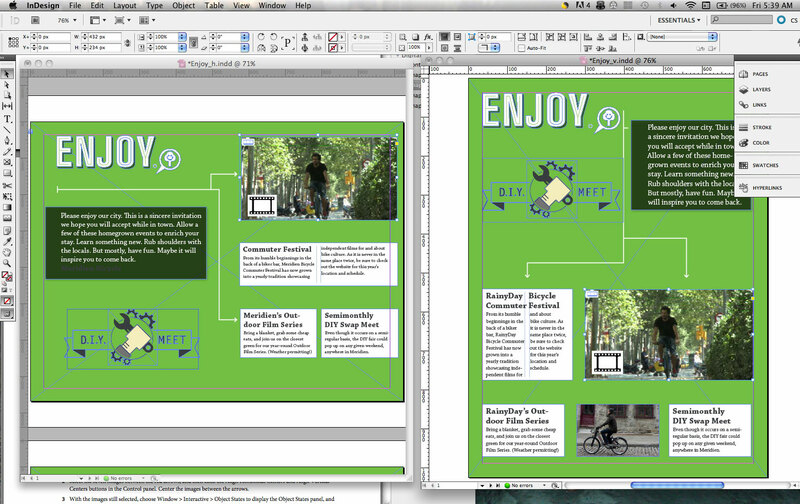 As with the single page issue, the layout of the various component were done using InDesign. 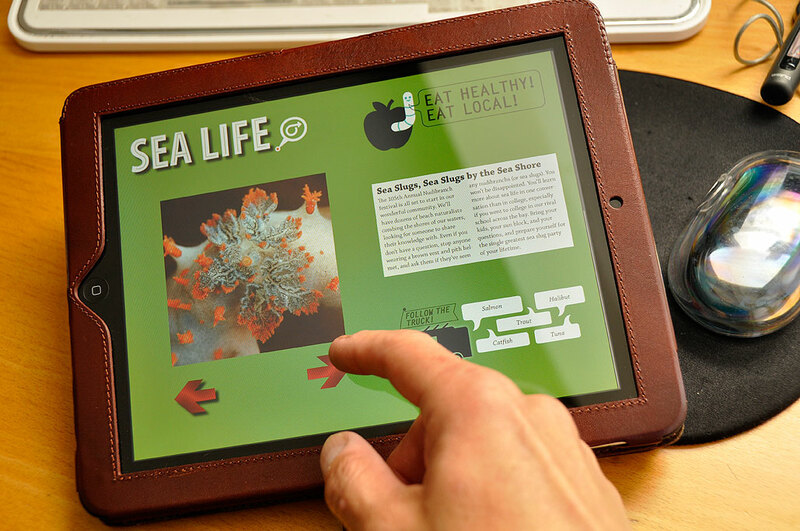 Videos, slideshows, and other interactive elements can be embedded directly into the articles. There are no mechanisms for previewing the work within InDesign, but it can be done later with another tool. This can mean some potential back-and-forth between two different parts of the workflow. Once everything has been laid out and properly arranged in the file system, the Bundler application takes those files and packages the pieces together as an issue for viewing on the iPad. The order of the stacks can be moved around in the Bundler application. It has a nice interface where the reordering can be done visually. Once the organization of the pages were how we wanted them, we exported the issue directly to the Adobe server. After the issue had been uploaded onto Adobe’s server, it was downloaded directly with the iPad using the Preview Tool without having to go through iTunes. When an issue is ready for general consumption, there will be a mechanism for making it available in the App Store. It is unclear to us how that would work at this point, but we’ll pass it on once we know. This second Adobe tutorial showed us how to embed various interactive capabilities (slideshows, 360º rotations, panorama, etc…) into a digital issue designed for the iPad. The steps were pretty simple, but more importantly, the results were were very impressive. One can easily see the potential of digital magazines on the iPad, especially for current publishers. With just a little bit of additional work, they will be able to port their content from print to digital. Having successfully completed Adobe’s tutorial and actually built an interactive issue, we now have a pretty good feel for the flow and of the capabilities of their upcoming Digital Publishing Solution. 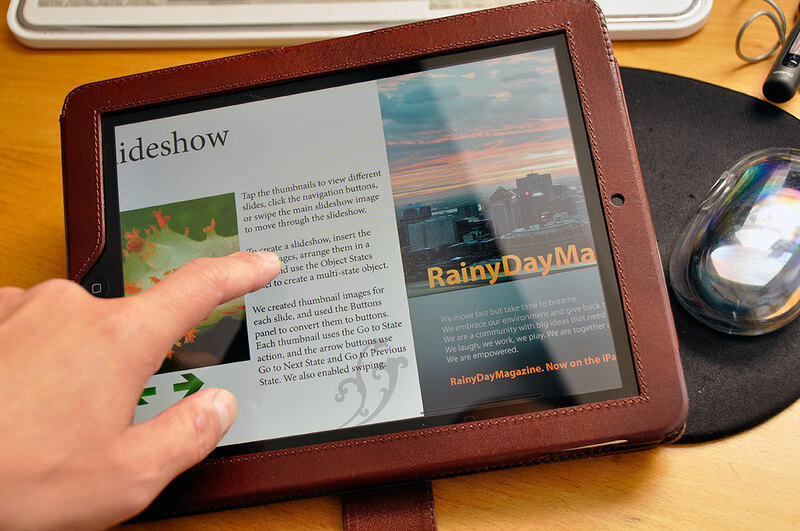 We are going to take the next two months and put together an interactive issue of RainyDayMagazine for the iPad. If everything goes according to schedule, the issue will be ready on January 1st. This first issue will be FREE. So remember to ask Santa for that iPad, check it our interactive issue, and let us know what you think!